I shall start by saying that I really enjoyed Turner. Horror really isn't my preferred reading genre, but as I like to push my reading comfort zone now and again, reading more horror has been one of my reading objectives. 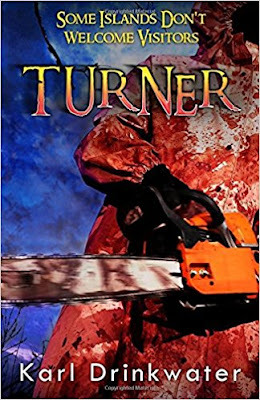 Turner is one fast paced, horror slasher of a read, that had me turning the pages at breakneck speed. To be honest I was thoroughly creeped out while reading this book. The novel opens with a compelling prologue, as we are introduced to Tom, a visitor to the remote island of Stawl, just off the Anglesey coast in North Wales. While there he meets the unusual and rather unfriendly locals and let's just say that things don't go too well for him. We are then propelled two months into the future, once again on Stawl Island, where we are introduced to the three protagonists of the story, over three subsequent chapters, all told in the third person, and all who are running from their past in one way or the other. We meet Chris, a new policeman to the island and his faithful dog, Spotty. He wants a quieter life on the island, a life without knives and violence. We meet Megan, a PE teacher who is running from a cheating boyfriend and then finally Chris, a man who is running from the law. All have their own unique voice and story to tell. I knew exactly who was telling their story. I should just point out here that one of the characters does use a lot of explicit language, so if you are easily offended by strings of swear words then this may not be the book for you. For me, this did not matter so much as I felt that this language was needed to fully understand his character. This novel worked so well for me because of these characters. 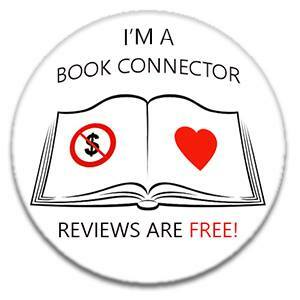 They were hugely believable and fully drawn, in a novel that for me was mainly driven via the plot. This is an action horror read, and at times the action almost seemed too fast, in that I had difficulty keeping up with who was doing what, but this was the driving force of the novel. It is a being scared by the seat of your pants kind of read. It is an uncomfortable read, one that quickens the pulse and makes you keep the light on. I must also mention the beautiful setting of North Wales and the remoteness of the island. I know North Wales well, my now husband lived in Llanfairpwll for many years while studying at Bangor University, and the descriptions of Anglesey were so very vivid that they conjured up wonderful memories of time spent in the area, although we were never chased by the locals. Turner was a hugely refreshing read, as it also contained a psychological element, that I had not been expecting, that gave an added dimension to this novel. It helped to give it meaning. I can also see this book being turned into a movie, it most definitely had that movie vibe in the tone of language used, and pace of action. Turner really was an enjoyable read. Turner, published by Organic Apocalypse on 13 Sept. 2016, is available to buy from Amazon here. When he isn't writing he loves exercise, guitars, computer and board games, the natural environment, animals, social justice, cake, and zombies.